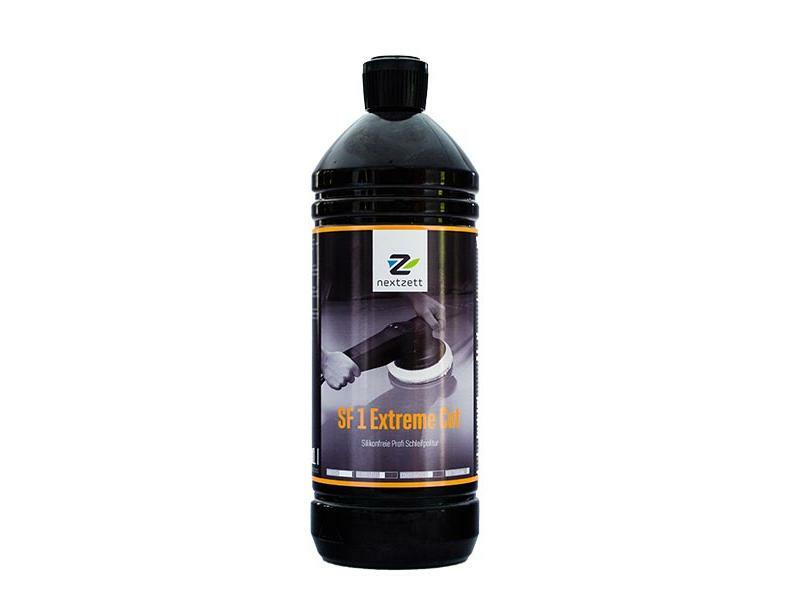 SF 1 Extreme Cut is a cutting compound for professinal users that sets a new benchmark. The special aluminum oxide micro-abrasives which are produced in a high-temperature process and subjected to the high quality standards regarding grain size and hardness,ensure the highest cutting rate and maximum gloss level are achieved. Suitable for older, weathered coatings as well as acrylic glass lenses. The cutting rate and gloss level can be controlled precisely by selecting the cutting level of the polishing pad or wool pad. Nextzett SF 1 Extreme Cut removes dust nibs, paint runs, scratches and overspray. Ideal for reconditioning matt and weathered coatings. The perfect product for forfessional reconditioners and painters. Water-based and silicone-free.